Marvel fans got a sneak peek of the upcoming sequel for Thor through a series of iconic displays and immersive activities at the launch in SM Southmall Las Piñas. Midgardians had endless groufies at the interactive Thor-inspired photo booth; game buffs were the first to try out Marvel Studio apps such as Marvel Future Fight, Marvel Contest of Champions, Marvel Puzzle Quest, and Marvel Avengers Academy; enthusiasts got a first look at the exclusive Disney merchandise of Thor, Hulk, Loki and Valkyrie; and the crowd gawked at the life-size recreation of the two lead characters, Thor and Hulk, who in one exciting scene, battle each other in a deadly gladiator match. Complete your movie experience and get a taste of Asgard on earth by visiting the Thor: Ragnarok installation yourself as it tours your favorite SM mall! 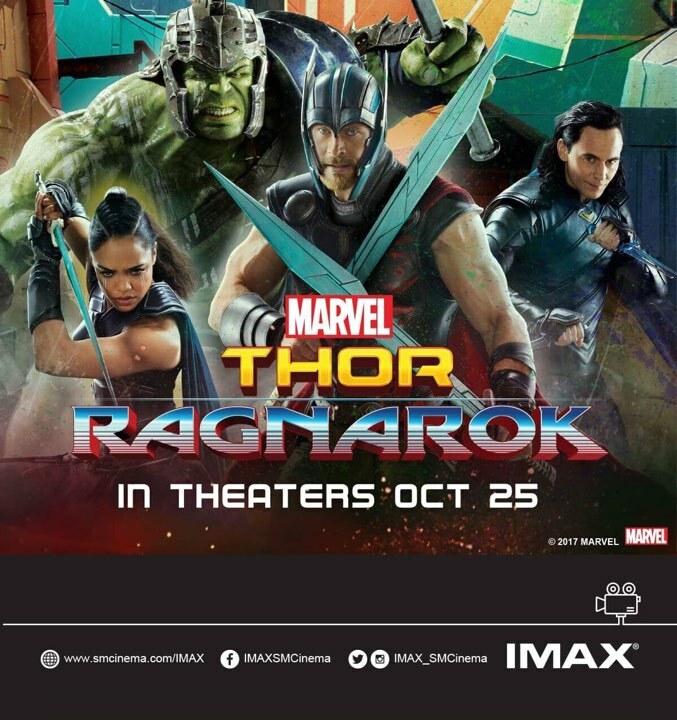 The Thor: Ragnarok roving exhibit will be at SM Southmall from October 7 – 15, in SM East Ortigas on October 17-22, and in S’Maison MOA on October 24 – 31.